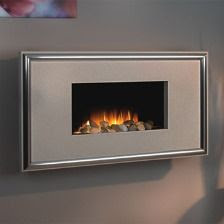 Although a fireplace is more an aesthetic structure in modern homes with central heating, it can still be a common necessity for homeowners living in places with cold weather. More often, it’s used as the focal point in the home where families and friends sit around during a cold day. 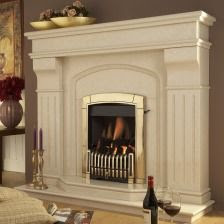 Many home owners opt for a marble fireplace as its elegance easily blends with most settings. But for homes with small children, fireplaces pose many potential dangers. Help safeguard your children around a fireplace by considering these safety tips. Educate your children that the fireplace is not a toy. Inform them that they can get hurt, injured or burned by playing with it. As much as possible make the fireplace area a child-free room. Install safety barriers around the fireplace, use a metal mesh screen if your fireplace doesn’t have a glass door. Fireplace tools should be kept out of children’s reach. If you have a traditional fireplace, don’t let your children get near it while you start a fire, never use gasoline or other flammable liquids when starting a fire. Seasoned hardwoods are best recommended for use. Never leave your children unattended, keep them away from the fireplace. Never allow them to play near it while it is lit or still hot. If your home is installed with electric fires mounted on the walls, never ask children to plug it into the power outlet. Do not allow your children to throw papers or other combustible things into the fireplace. Make sure the fire is completely out before leaving it. Have a fire extinguisher beside or near the fireplace. Install smoke and carbon monoxide alarms. Have your fireplace and chimney checked and inspected regularly. gusto ko sana nito sa house pero pano kaya un ..
ang liit ng house namen for this. The safety guides are useful, it is important that we educate our child on what harmful things could possibly happen and the fireplace is not a mere toy to played on. "Never play on fires"